At a small songwriter showcase in downtown Modesto, a few months before Modesto Unplugged was launched, I first crossed paths with a veteran touring artist who would quickly become of the most prominent and supportive members of the MUMF family. 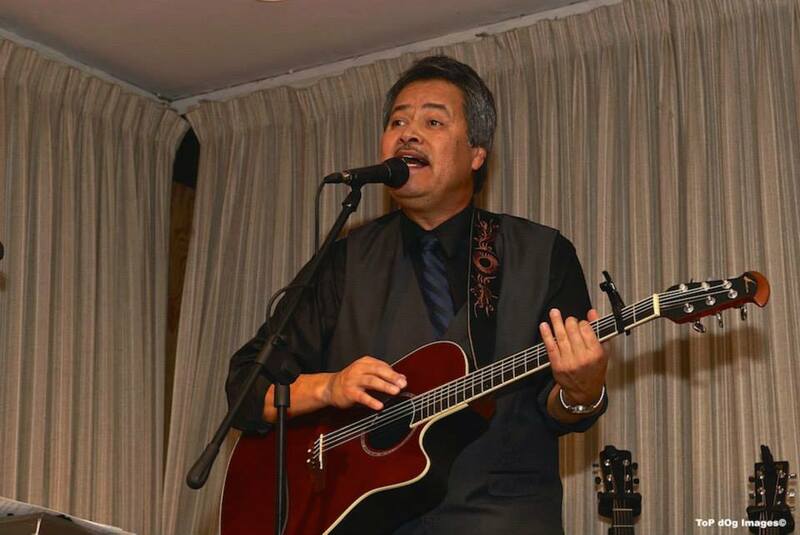 Sam Regalado has prolifically toured up and down the West Coast for decades, but makes his home in Turlock, where he teaches history at CSU Stanislaus and crafts his experimental brand of pop/rock music. In the late ’80s, Sam migrated from Los Angeles to the Central Valley, where he became a founding member of the long-running cover trio Johnny Rocket & The Thrust, with which he played bass and keyboard and took equal turns with his bandmates as lead vocalist. 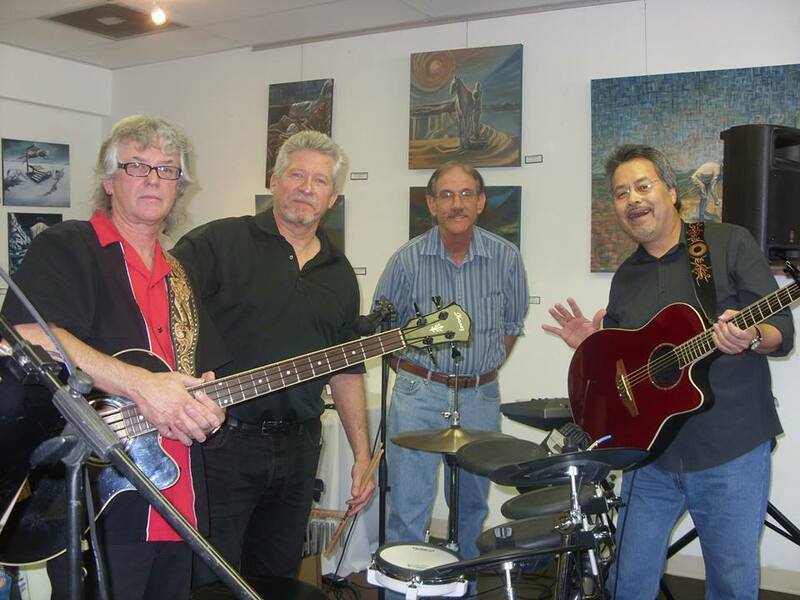 The trio won a Modesto Area Music Award in 2001 for best ‘blue collar’ band. After leaving JR&TT, Sam formed his original group Boscoe’s Brood (named after his first dog Boscoe.) The new indie-folk-pop sound was influenced by artists as diverse as The Beatles, Talking Heads, Sarah Brightman, and Tune-Yards. Boscoe’s Brood performed throughout California, Oregon and Washington for a few years before Sam struck out on his own as a solo act, while retaining the name for his stage persona. The full band continues to reunite for special events to this day. A year or two after Sam went solo, I happened upon his set at a downtown coffeehouse. We became quick friends, and the following summer he took part in the inaugural Modesto Unplugged Music Festival - an event at which he holds the sole distinction of having performed all 4 years. He has shared the stage with several of our more notable featured visiting acts, including award winners Dirty Cello and Jackie Bristow, and stellar orchestral-folk duo The Thoughts. In addition, Sam serves as one of the top advisors for the Festival and its programming. Sam is also a repeat performer at the annual New Music Concert at Modesto Junior College, coordinated by his friend and recording engineer David Dow for nearly forty years. 6-8 artists perform sets of two or three songs each, culminating in a joint performance of a piece selected by Dow. The genres showcased range from classical to alternative to experimental/electronic. Many of the performers featured are music students sharing their own compositions. On the academic front, Sam holds a doctorate in history earned at Washington State University. He is an accomplished scholar and professor at California State University, Stanislaus, where he has taught ever since settling in the Valley. He teaches a range of courses at CSU Stanislaus, with emphasis on U.S. social and cultural history. He is also a baseball enthusiast, and has penned numerous books and essays detailing the history of Mexican-American and Japanese-American contributions to the game. Sam was a Smithsonian Fellow in 1994 and honored as Scholar of the Year at CSU Stanislaus in 2011. Sam has recorded ten studio albums as (three of which are available for purchase at CD Baby under his Boscoe’s Brood stage name) and done freelance songwriting for an EMI-affiliated publishing firm. His academic pursuits and touring schedule continue to keep him quite busy. This month he can be found rocking the stage down in the Monterey area, one of his favorite stomping grounds.